Tatum Mitchell is a junior at DGS and the Print News Editor for the Blueprint. Mitchell loves theater, music and riding horses competitively. She has participated in choir since freshman year and has been in multiple DGS productions. Mitchell is involved in a variety of clubs at DGS including JKB (an athletic leadership club), Spanish club and Masque & Gavel. Mitchell travels year-round in order to attend horse shows and qualified for IHJA (Illinois Hunter Jumper Association) finals this September. 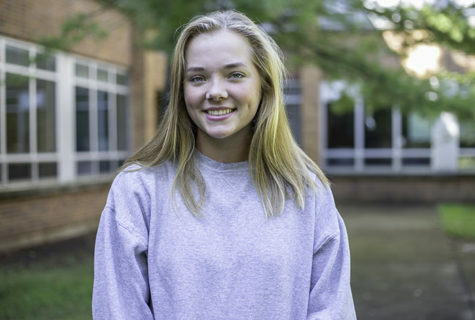 Mitchell received second place at NIHJA medal finals last fall, and would also like to participate on a division one equestrian team in college. Mitchell would like to attend UC Davis, USC, NYU or Baylor to major in journalism or pre-law. When she isn’t riding horses or watching movies, she enjoys reading and writing short stories. Mitchell has a passion for 60s music, art and fashion.